CLG marksman Trevor “Stixxay” Hayes uses some very strange key bindings in League of Legends, according to gaming hardware company Corsair’s article yesterday. Stixxay has been CLG’s ADC for his entire two-year-long professional career. He replaced Yiliang “Doublelift” Peng when he left in 2015, and since then he’s become one of the NA LCS’ most consistent carries. Unlike most pro players, who use the QWER keys like normal human beings, Stixxay uses the WASD keys to move his camera around the map, and he uses the 1, 2, 3, and 4 number keys for his abilities. Why would he subject himself to this pain? Because that’s how he used to play World of Warcraft. “The main reason I changed my keybindings is that when I first started playing League and the keybindings were QWER. 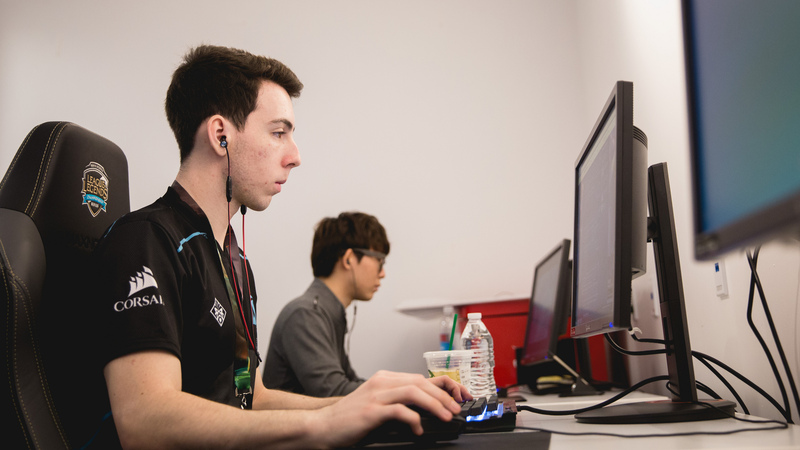 I never got used to moving my mouse to the top of my screen to move my camera, I couldn’t do it,” Stixxay said. After struggling with the camera motion for only one game, he immediately switched over to WASD like the masochist he is, simply because those were the controls he was used to from World of Warcraft. The weirdness doesn’t stop there, however, because he doesn’t use F and D for his Summer Spells, either. After seeing it in action, it doesn’t actually look that weird. Stixxay is a professional player, after all, so it can’t be that awful of a strategy. That doesn’t mean you should go try it yourself, however. Well, you can, but when everyone on your team flames you for playing terribly, don’t say we didn’t warn you.